Most commercials are boring but there are some that are so good, you want to see them over and over again–sometimes more than the show itself! But you don’t have to wait for the next Super Bowl to watch the really clever ones; we dug up some of the funniest and most brilliant car commercials ever made, so sit back, relax, and click play! The Volkswagen “wings” commercial is simple but no less funny. The end part made all the difference because, well, as strange as it sounds, who wouldn’t want to see rainbows coming out from someone’s hiney? Whether you’re a kid or a grown man, you can’t deny the force of Star Wars. 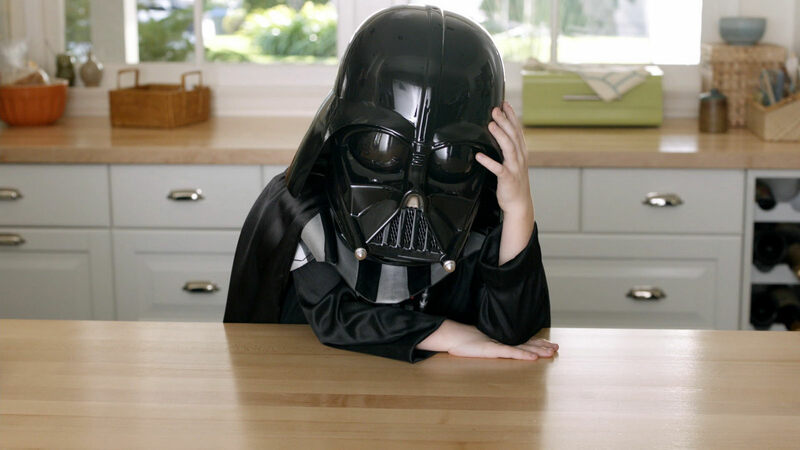 Watch this little Dark Vader find his true power in this cute Volkswagen commercial. Ever wondered what your car will look like if she were a woman? This commercial says it all. Check out how this hot Italian Model transformed into a Fiat Abarth and, for sure, you will not look at a Fiat the same way ever again. Ever had that “in your face!” moment? Watch this commercial and see! Lesson? Never judge a person based on the car they drive and never underestimate anyone who drives a minivan because you might just regret it just like those two boys. 3. Toyota Auris Hybrid. The Alternative commercial. What if you could have an alternative? That is exactly what this commercial is all about. It depicts a world with no alternatives and no choices. Can you imagine living like that? It’s hard to say which one is the best part but the Macarena bit was definitely very memorable! This commercial, which stars Oscar Winner Matthew McConaughey, became viral and resulted in numerous video parodies. But what made this commercial funny is not the video itself but its parodies. Check out the versions of Ellen DeGeneres and Jim Carrey! So, which one do you think is the better parody? Originality is hard to find these days but this hilarious BMW commercial has tons of it. We’re not even going to spoil it for you; just hit play!